The restrooms for the Outlet Stores did not open until ten so a last minute side excursion was required and delayed our caravan by a few minutes. 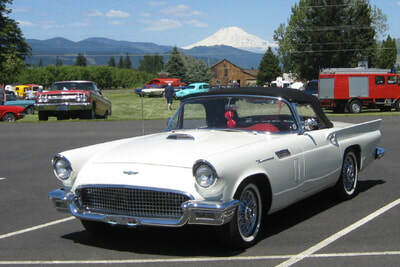 The caravan drew several waves and ”thumbs up” gestures from other cars on the I-84 freeway. 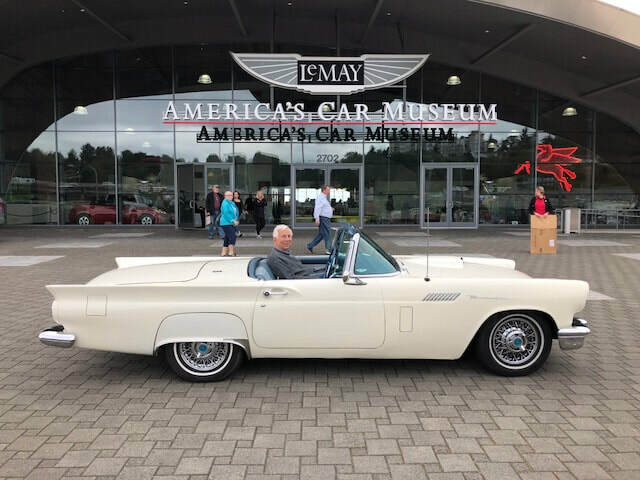 Because we had so many Birds, the Museum changed where they had planned to park us and had set aside parking right in front of the entrance. 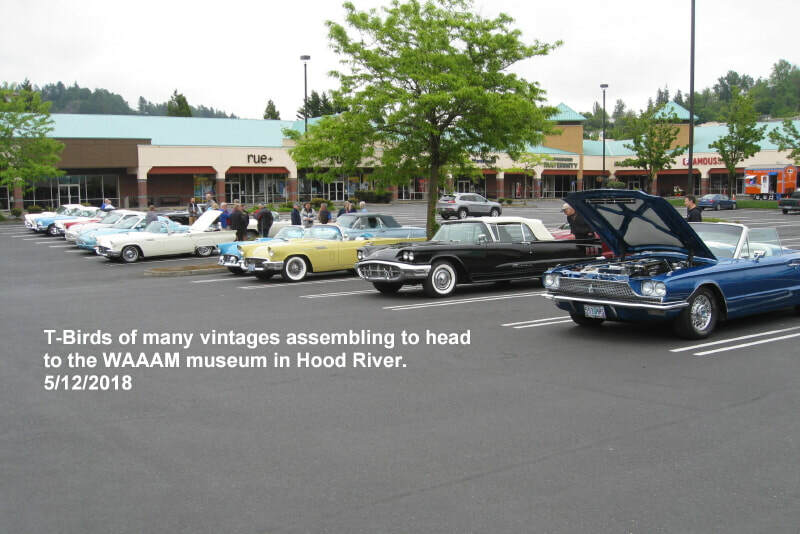 All the Birds in a row made a nice attraction for customers entering the Museum as T-Birds were featured that day. 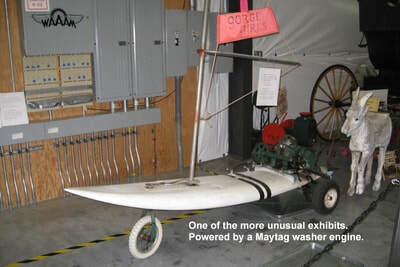 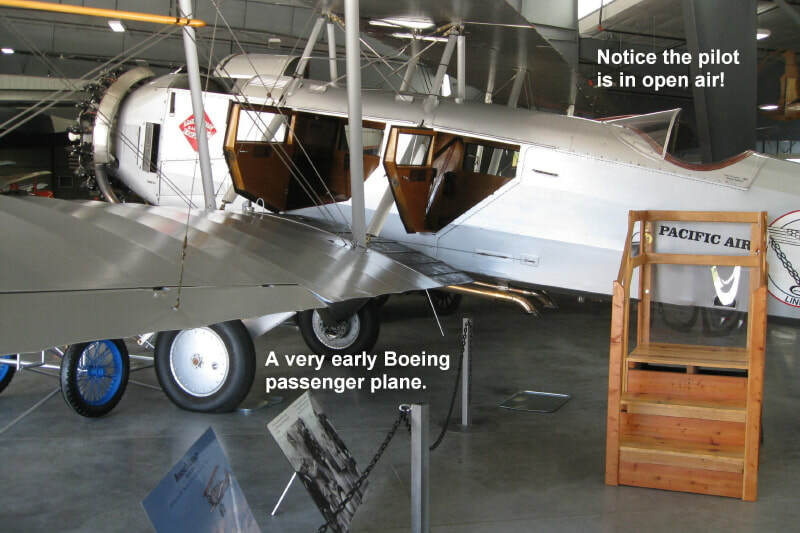 The Museum has 325 airplanes, automobiles, motorcycles and tractors. 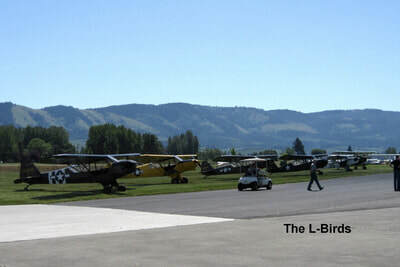 Most of the planes are flyable and they rotate flying schedules between them. 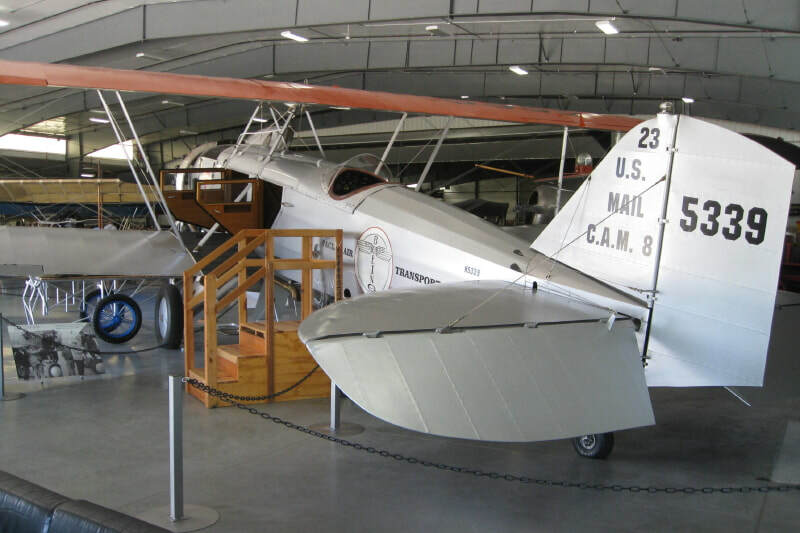 The Museum will be taking three of their gliders to the Oshkosh annual air show in Wisconsin. 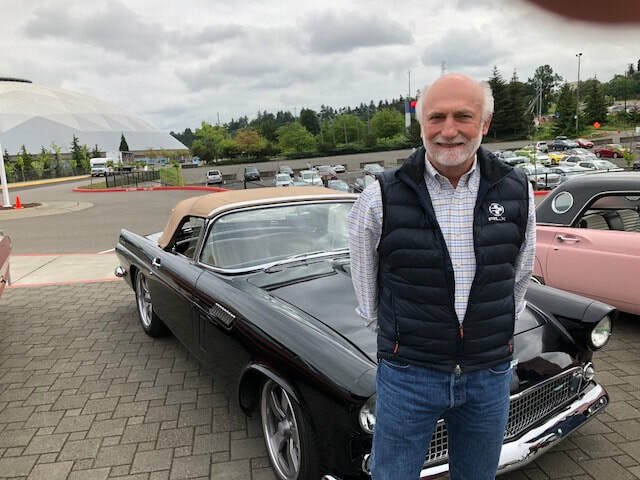 The tour was self-guided but volunteers were available to answer questions and point out interesting stuff – like the 1923 Locomobile touring car is valued at 3.5 million dollars. After a nice lunch, members continued to check out the displays and came home on their own schedule. 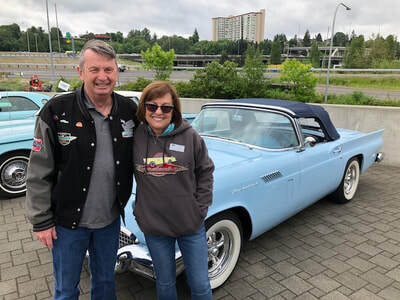 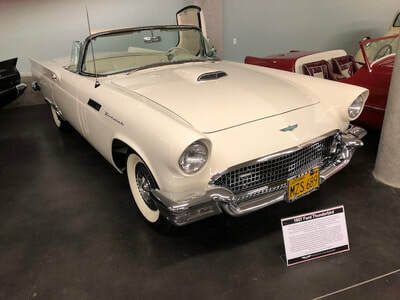 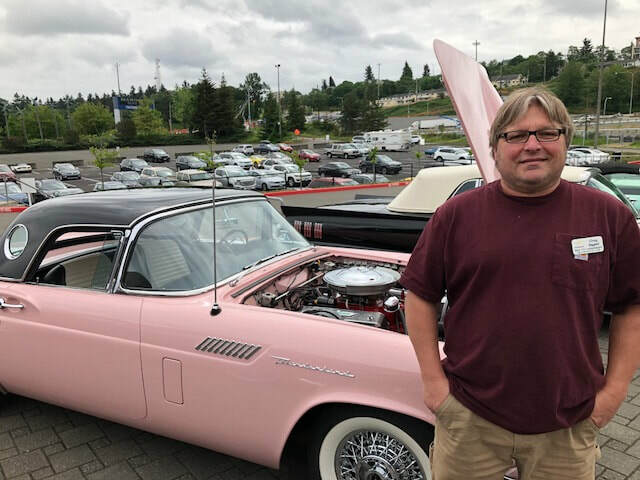 On May 20th eleven members of our club joined the NW Vintage Thunderbird Club for a tour of of LeMay Car Museum in Tacoma. After caravanning from Vancouver the Museum parked us together in front of the entrance to the Museum. There were six little birds, eight Retro Birds and five Birds between the Little Birds and the Retro Birds. The museum split up our group of 35 into three groups with a docent for each group. 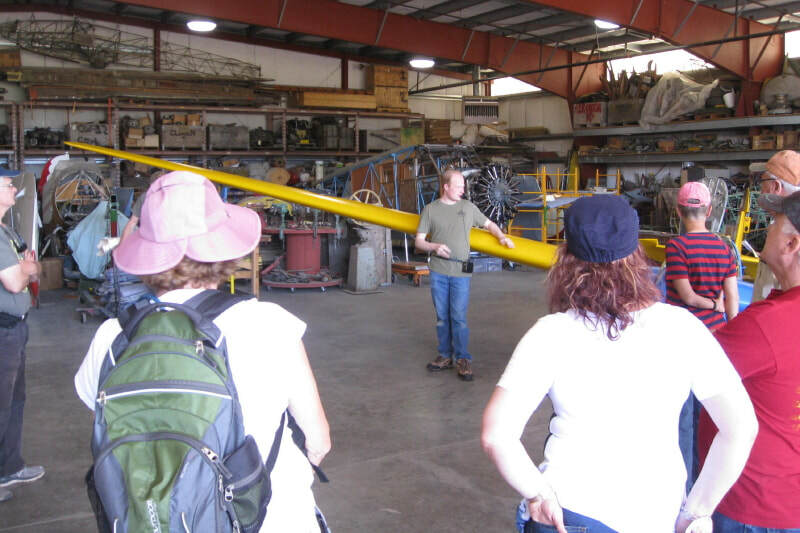 A docent is defined as a “ knowledgeable enthusiastic teacher”. 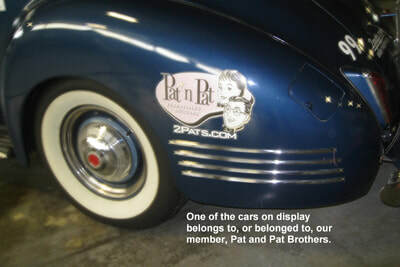 The docents that we had certainly matched the definition. Harold LeMay made his fortune in garbage and recycling. At the time of his death he was the owner of one of the largest private car collections in the world with some 3,000 cars. 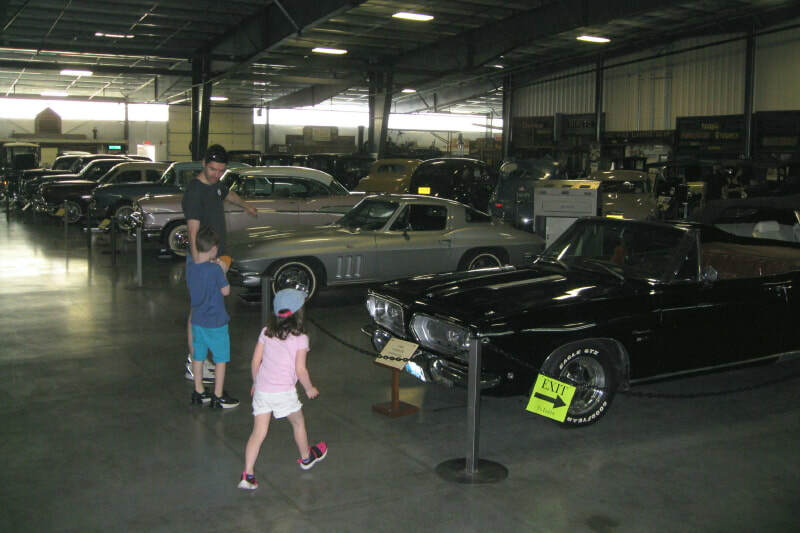 The Museum now has 350 cars including a whole section devoted to NASCAR racing and cars. Following a great tour of the three floors of the Museum, the group had lunch at the Poodle Dog restaurant in a private room and came home independently.